Lice are six-legged insects that have claws that are hook-like. Lice are parasitic and once an infestation occurs on a cow, prompt eradication is essential to prevent the spread of lice to unaffected cows. 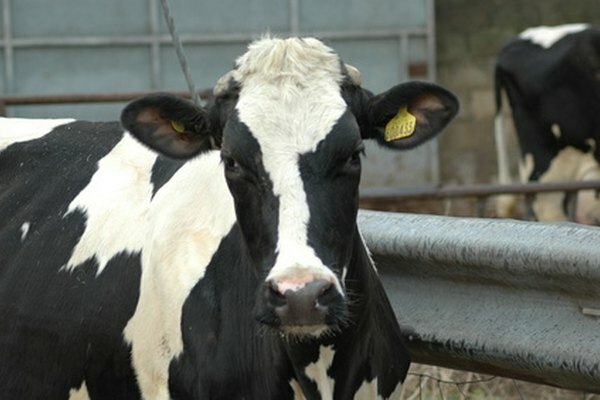 A severe infestation in a cow can result in anemia and death in calves. If you're concerned about using harsh chemicals on your herd, there are methods that can be used without any potential health effects to you or your cattle. Diatomaceous earth (DE) is a type of product formed out of fossilized material; which is usually diatoms that are similar to algae. The DE kills insects by penetrating the insect's exoskeleton. While DE is toxic to insects, DE isn't to humans or animals. However, Golden Harvest Organics suggests using a mask when applying the dust, as inhalation of the dust may cause irritation to your nose and mouth. Diatomaceous earth that contains chlorine should not be used, since this form is used only for pools. 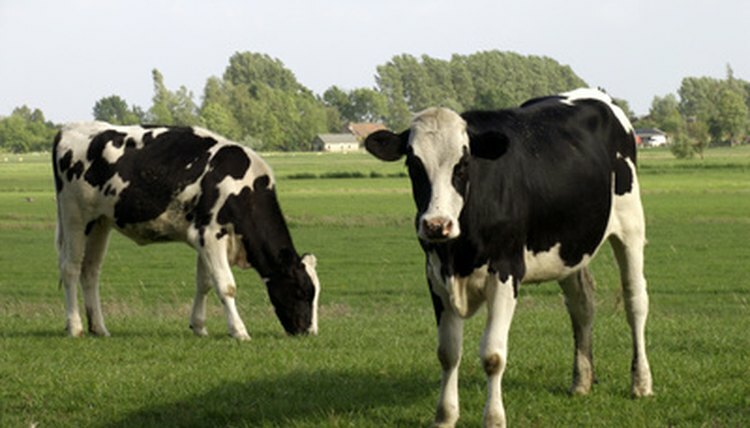 You can use certain forms of oils, such as vegetable or canola oil, to coat the affected areas of a cow. Oils smother adult lice, as well as kill lice eggs. Oils used on your cow will clog up the pores of the lice. The lice will lose needed oxygen for survival and die as result of lack of oxygen. Soap is a natural way to kill lice without harming your cattle. Lice shampoo products are not necessary to effectively eliminate lice. There are many bio-degradable and non-toxic soaps that can sufficiently kill lice and eggs. 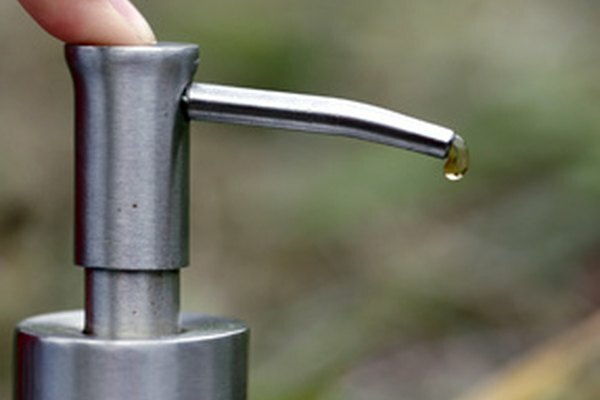 Soap acts as a dissolvent in the exoskeleton of an insect. You many need to repeatedly soap your cow to sufficiently eradicate a lice infestation. What Is the Acid in an Ant Bite? 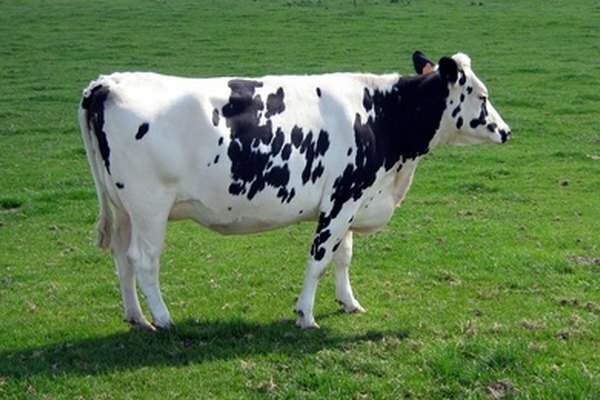 What Is the Natural Habitat of a Cow? Why Are Cow Killer Wasps Called This?